Performance of a short play by William West about four children of the 21st century - or are they? The cast includes Deborah Jowitt, Randa Haines, Mike Hodel, and George Spelvin. Directed by Baird Searles for WBAI's 99.5 Radio Theatre. Contains 13 seconds of test tone at beginning of recording. 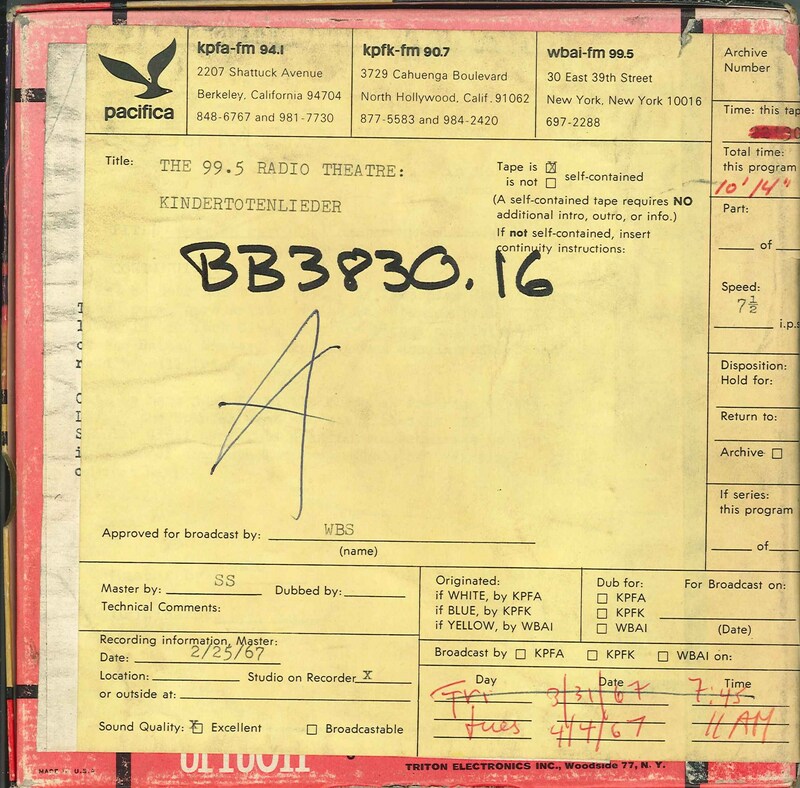 This recording was formerly cataloged as BB3830.16. 1 reel (11 min.) : 7 1/2 ips, mono.